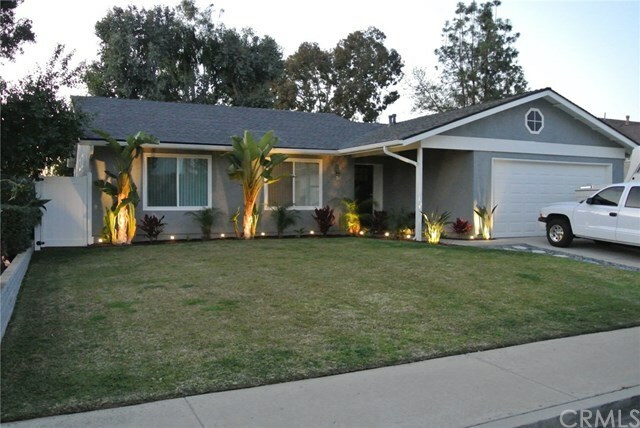 Great opportunity in South Orange County â no HOAâs, and close to services! This beautiful single story 3 bedroom, 2 bathroom home is located on a generous and usable lot, situated in a secluded neighborhood, adjacent to city maintained Coronado Park. Sellers have made numerous recent upgrades including; energy efficient windows, tastefully done landscaping, recently installed white vinyl fencing and a custom entry door. The contemporary kitchen features Bosch appliances, black granite counter tops and striking back splash. This home features custom closets, recently installed baseboards, interior doors, ceiling fans and fresh paint. The large back yard has a great outdoor living space, ideal for entertaining, featuring a spa, fire pit, BBQ, umbrella which owner may include. A recently built 10x12 steel workshop with pressure treated lumber frame, ideal for storage or projects is also included. A short distance to Arroyo Trabuco golf course, Saddleback College, Capo Valley High School and the Shops of Mission Viejo this location is very convenient. Quick access to the 5/73 freeways and a short distance to from Dana Point Harbor makes this the ideal South OC home!